If you wish to lease a new Mitsubishi, you will definitely want to ensure that you are working with the best auto dealership in the area. 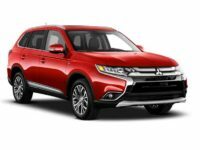 New Car Deals NYC offers the best Mitsubishi leasing deals in NY areas such as Manhattan, Brooklyn, Queens, or Bronx. Our leasing options are the most affordable and most convenient to customers all around NY. New Car Deals NYC is very different from other leasing companies. We offer high-quality services at affordable prices, unlike other dealerships that sacrifice quality for lower prices. Therefore, if you are keen on getting the best lease deals at affordable prices without compromising on any essentials, New Car Deals NYC is the right place for you. We will ensure that you get the exact car that you want without sacrificing on quality, price, service or anything else. In addition to offering you the best lease deals, our company allows you to browse and look through the car models that we have right from home and without any pressure or hurry. 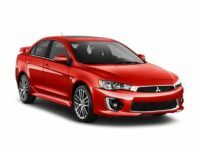 If you’re interested in any Mitsubishi model, we have all of them. 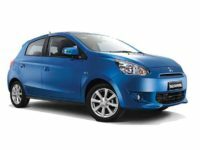 Some of the models you’ll see on our site include the Mitsubishi Mirage, Mitsubishi Lancer, Mitsubishi Mirage G4, Mitsubishi Lancer Evolution, Mitsubishi Outlander, and Mitsubishi Outlander Sports, just but to mention a few. Our leasing prices are very affordable, so you can’t afford to miss out on our lease specials. When you’re all set, just give us a call at 718-975-4530 so that you can speak with one of our sales experts. They will assist you through the entire leasing process, and you’ll get all the details of your lease taken care of according to your desire. Our professionals are also ready to help you with financing the auto lease if you need any financial assistance. Whatever it is that you need our sales professionals will guide and help you out, every step of the way. For clients who want to arrange for a test drive before they lease out or make a purchase, that’s possible too. You only have to call us, and one of our agents will make that arrangement so that you test drive the car model you’ve selected in the shortest time possible. When the leasing process has been completed, we’ll have your new Mitsubishi delivered right to your home, workplace, or business. You really can’t find any other car dealership in the area that’s more convenient than us. Thus, give us a call and get the best lease deal on any Mitsubishi model. If you have any questions about new Mitsubishi deals or any other car make, you can reach out to us via 718-975-4530. New Car Deals NYC will be more than happy to speak with you about all lease options and help you get the car model that you badly want. Thus, if you’re in Manhattan, Brooklyn, Queens, or even Staten Island, please don’t hesitate to give us a call. We look forward to giving you the best lease deals and specials in New York.